Design, draw, paint and create with this Jumbo Craft Box! This all-inclusive art and craft set comes with everything you need to create beautiful designs, paintings and drawing right from home! Fuel your kids creativity as they use their imagination to create marvelous designs, exquisite paintings and magical drawings! This arts and craft set comes in it’s very own compact and easy to store box. The perfect gift for creative kids and budding artists. 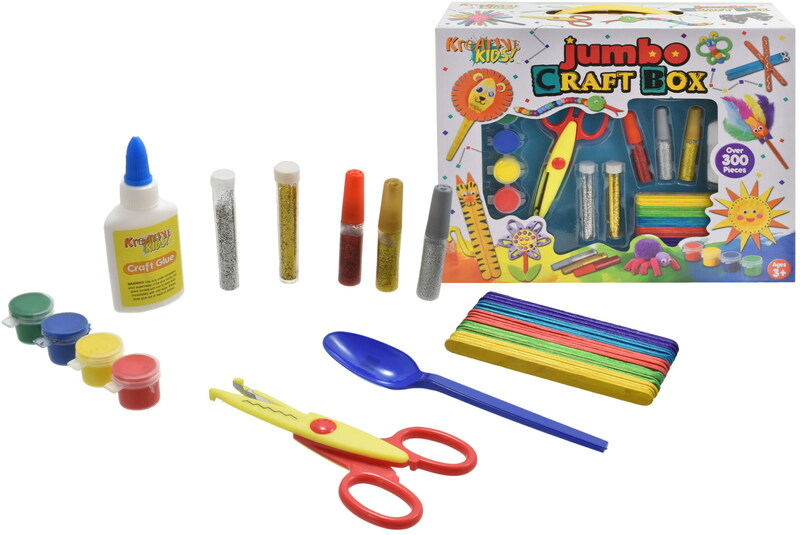 This all inclusive Art and Craft Set includes over 300+ craft pieces to use.